India Sunday said it was closely following the political developments in Sri Lanka and hoped that democratic values and constitutional process would be respected in the island nation. In fast paced political developments, President Maithripala Sirisena suspended Parliament on Saturday, a day after sacking Prime Minister Ranil Wickremesinghe and naming Mahinda Rajapaksa as the new prime minister, the Press Trust India (PTI) reported. "India is closely following the recent political developments in Sri Lanka. 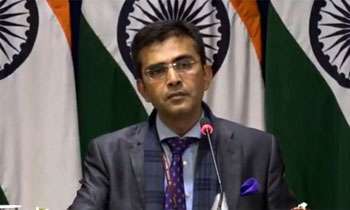 As a democracy and a close friendly neighbour, we hope that democratic values and constitutional process will be respected," External Affairs Ministry Spokeperson Raveesh Kumar said. He said India will continue to extend its developmental assistance to the friendly people of Sri Lanka. India has been involved in a number of projects in the island nation. President Sirisena on Saturday suspended Parliament till November 16 after Wickremesinghe sought an emergency session to prove his majority. Former president Rajapaksa was sworn in as the country's new PM on Friday. The political turmoil came amid growing tensions between Sirisena and Wickremesinghe on several policy matters. Reacting sharply to his sacking, Wickremesinghe asserted that the swearing-in of Rajapaksa is "illegal and unconstitutional" and he will prove his majority in Parliament. The political developments unfolded after Sirisena's broader political front UPFA announced that it has decided to quit the current unity government with Wickremesinghe's UNP. The unity government was formed in 2015 when President Sirisena was elected President with Wickremesinghe's support, ending a nearly decade-long rule by Rajapaksa. Rajapaksa's return to power ends a more than three-year-old coalition government that was formed by President Sirisena and Wickremesinghe on a promise to combat corruption and financial irregularities. Sri Lanka nearly faced economic sanctions from the West over Rajapakse's military crackdown on the banned Liberation Tigers of Tamil Eelam (LTTE). 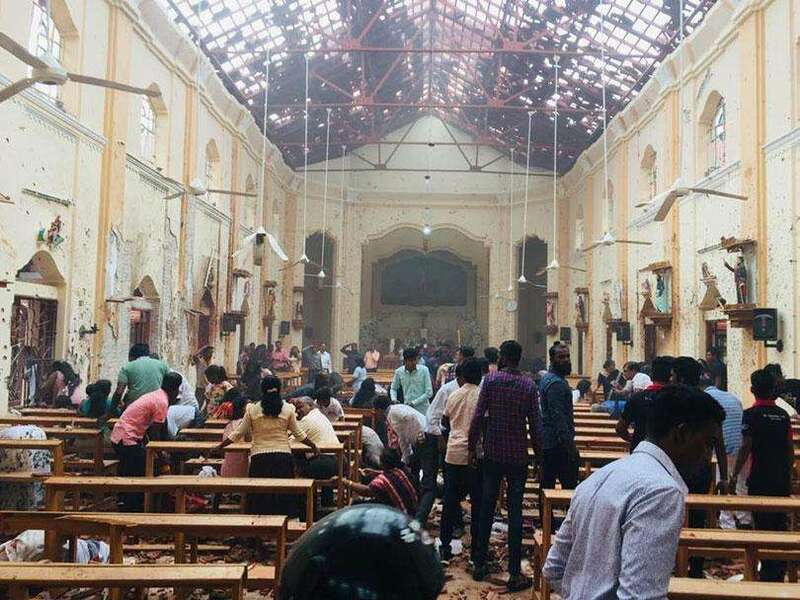 The LTTE sought a separate Tamil homeland in the northern and eastern provinces of the island nation for nearly 30 years before its collapse in 2009 after the Sri Lankan Army killed the outfit's supreme leader Velupillai Prabhakaran. Sri Lanka is heading for anarchy and political turmoil, because of this weak President. In Sri Lanka? There's no such thing as democracy in Sri Lanka. Heard RK also planning to crossover. I won't surprise even RW too come to strengthen the hand of the king. Why all these countries issuing statements like this on Sri Lanka if it has been done in a manner according to the constitution? Hope President is not such a dumb mute to read between the lines and what lies in the horizon. Yes RW and his Boys were busy selling SL. RW came to power saying he will fill the Hambanthota Port with ships and the Airport with Planes. What he did was sell the Port to China and was trying to Sell the Airport to India. Praise be to Allah he was kicked out. this is the first correct reaction i did read here. Democratic values are well enshrined in Sri Lanka's constitution, and they can be protected only if leaders, irrespective of their political parties, respect it and work according to it. The RAW assassination squad loves "democratic values" too! Wow! This is SL, not India.